I can’t believe it has taken me until now to fathom out how to format the description on Create Space, or Kindle. The descriptions have to be one of the most important aspects of a readers decision for them to consider buying your book. I will keep the examples simple for those like me who are not computer literate. Create space unfortunately offer no assistance with HTML. I have always uploaded as a direct copy and paste from word, but in 4 books I have just uploaded to Create Space, their software ignored all my paragraphs. Type out your description in Word, or notepad. Format your paragraphs single spaced. I have not set a paragraph indent and no paragraph spacing. Now you can add the HTML code as below. <p> creates a paragraph. <p/> closes the paragraph and automatically creates a paragraph space. <b> Creates bold text. <b/> Closes the bold text. Note: Let the HTML code create the paragraph space. Once uploaded it will look like this on Create Space, but for some reason the bold does not show on the kindle description. Note. I am just in the process of changing all my description, so the formatting may not show yet on my actual books. 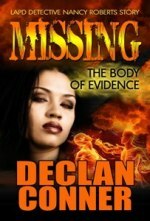 Missing: The Body of Evidence, is a gripping crime thriller. A story of secrets and deceptions, and one woman’s determination to discover the truth. When rookie LAPD detective Nancy Roberts is called to the scene of a fire and the remnants of a body are discovered, CSI can’t be sure if it is the result of a suicide, accident, murder, or…. Well… kind of something else. The CIA declare an interest and point everyone on the investigation in the direction of a freak accident. Nancy doesn’t buy the theory of spontaneous combustion put forward. Her own unconventional investigations point her in a different direction, but they are curtailed when she is framed for being on the take. This brings her into conflict with her fellow detective and boyfriend, Kyle. Suspended and under orders not to continue with the search for answers, threats to her life and those she holds dear force her in a race against time to clear her name. But will she avoid death long enough to prove her innocence and to uncover the truth behind the strange events? Emotionally charged and gripping from the very beginning to an extraordinary and unforeseen, though satisfying twist at the end. It doesn’t get much better than this. An uncompromising and compulsive thriller from Declan Conner. An example of how I formatted my short story collection. Ross Kellerman does not seem to have any luck at dating. Trapped 24/7 behind his bar, he turns to Internet dating. Big mistake. Luckily, his so called friends are at hand to help out. Set in the backdrop of a bankrupt UK, a corrupt Federal European Union has taken control of the country. Can a failed British secret service agent unravel the mystery surrounding the death of a leading British industrialist? Lunch Break Thrillers – Short Stories. Twelve not so short stories. Also available as single short stories. In this busy world where time is precious, no matter if you are taking a short journey or a lunch break and need to sit back and relax, what better than to read a short story to its conclusion, rather than to put a book aside and forget it. 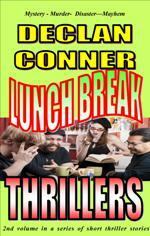 Lunch Break Thrillers is a gripping mix of suspense, mystery, disaster and murder, all interlaced with memorable characters. Designed to intrigue and satisfy, these tales will leave you with something to ponder, long after they fade into the dark corners of your mind. The Mystery of the Crimson Robe. 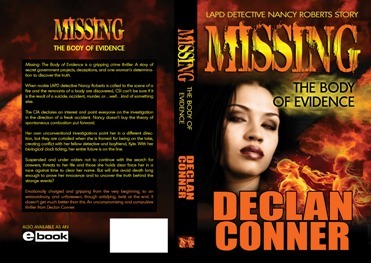 Rookie LAPD Homicide Detective, Nancy Roberts, has a strange encounter with a figure in a crimson robe. Ridiculed by her colleagues, she has more to contend with than a fancy colored garment. A story of overcoming self-doubt. Hide and Seek. Carl didn’t believe in ghosts. Unless you want to count the Holy one? All that is about to change. The End. or a New Dawn. For those worried about climate change. Maybe it’s all part of a grand design for a new start of biblical proportion. Where There’s a Will, There’s a War. A tale of political intrigue and deception. This one is for conspiracy theorists. An interactive story that will have you opening your browser to search the net for answers. Careful What You Wish. Ross Kellerman does not seem to have any luck at dating. Trapped 24/7 behind his bar, he turns to Internet dating. Big mistake. Luckily, his so called friends are at hand to help out. Downward Spiral. A cautionary tale and a Helter-Skelter ride for Annie in her fall from grace during rough times. The Black Widow. When death comes a calling, it can take all shapes and sizes, especially where revenge is the motive. A noir Mafia tale. Phoenix Rising Set in the backdrop of a bankrupt UK, a corrupt Federal European Union has taken control of the country. Can a failed British secret service agent unravel the mystery surrounding the death of a leading British industrialist? The Enemy Within. There is a war taking place, but where? It could be nearer than you think. They say to keep your friends close and your enemy even closer. But what happens in a society where you can’t tell one from the other? Would this cause you to become your own worst enemy? The Silver Locket. A hypnotic tale of hope, from the depths of adversity. Lost Baggage. How precious are your possessions? Worth risking your life for? Texas born, Rob Carter has the answer. Who Am I? Worried about identity theft? If not, you should be. It could cost you your life. Good luck with your publishing. I keep asking myself this question and seem to be something of a lone wolf when I approach the subject on writers’ forums and hardly ever win the debate. When I first published my eBooks through Amazon Kindle, I thought it would be easy to publish both my American edited versions and UK and Commonwealth edited versions. 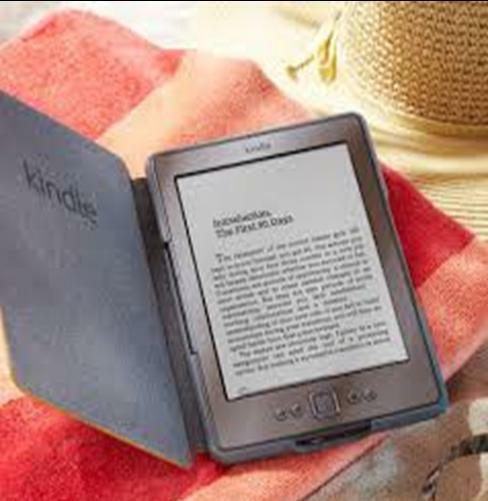 Everything went smoothly when I started to fill in the details to upload my manuscripts to kindle. The process was quite simple. That is until I came to the question of language choice. ‘English,’ it said. I scrolled down to look for the different versions, but there were none. It struck me as odd. How is the reader to know? Okay, you could say that the reader has the opportunity to sample first and that would be true, but many don’t. Of the ones that do sample, I just wonder how many decide not to buy because the read jars when not in their native English. After much head scratching, I decided to upload the American version to .com and the UK English version to .co.uk … problem solved. Well that’s what I thought, but then I thought, what of the countries such as Canada and the other countries that can only buy from .com and use English spellings. Then what about expats? When I contacted Amazon customer services, they sent me a nice email back, basically the only way round the problem was to maybe upload both version with world rights and to say put the Stars and Stripes on the front cover of one and the Union Jack on the other. Ughh. The usual answer I receive from American authors when I bring up the subject seems to be. “There are 300 million potential customers in America and the UK market is small. 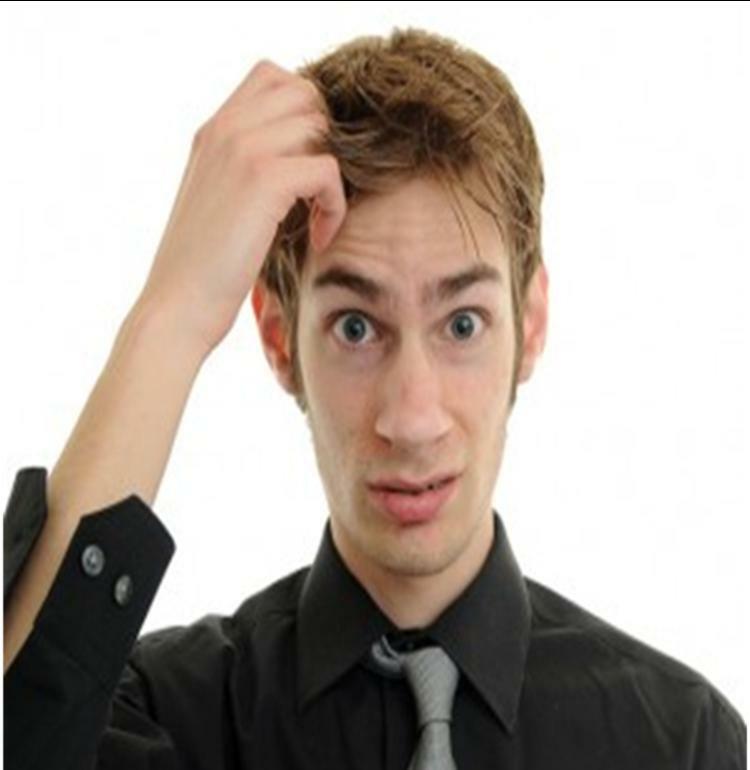 Why should I care about the rest?” The answer from UK English authors seems to be “English is English, they’ll understand.” It’s no wonder to me that some American authors claim their sales are poor in the UK and vice versa with the British authors; although I admit there are exceptions. My answer to the authors who have a different opinion to me, I would ask them to trawl the Amazon readers’ forums and look at the debates where the posts mention poor spelling. Alternatively, maybe to read some of the one star reviews, where some readers assume that spellings are in error when they are in fact correct for the authors native English. Don’t think this situation just exists with just self-published authors; it is the same for traditionally published eBooks. What am I doing about it, you may ask. In my own case, I have made a start by splitting my short stories into individual eBooks and including both versions with links for the reader to make the choice of language. I have already up loaded these to Smashwords for distribution to B&N Kobo and Apple, also to Amazon.com de, in Germany. This week I should have a German translation completed for The End, or a New Dawn, one of my short stories and I will upload it to Amazon with the German translation and the two English versions in one eBook, with links for the customer to make the choice. It isn’t going to happen overnight, but I intend to do this with all my short stories on all eBook platforms. As for my full-length books, I will be re formatting them to include both English versions. Declan Conner: Smashwords profile and books page.